Ted Reed’s “Progressive Steps to Syncopation” (in particular the exercises in the middle of the book, pages 37 to 44) is a great resource to study different things on drums: stickings, linear phrasing, coordination and music styles (jazz, latin, rock, shuffle, funk). 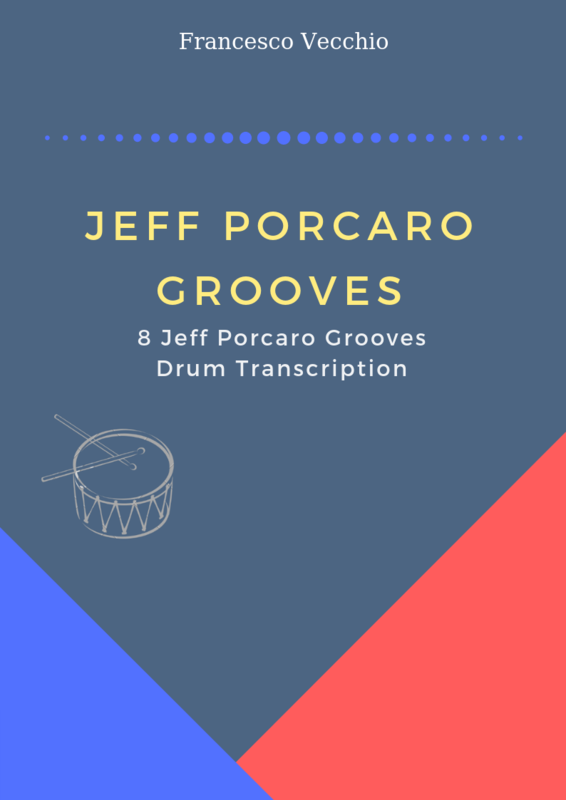 There are many interpretations and the possibilities are endless… playing Afro-Cuban 6/8 moving the left hand around the drums to create syncopated rhythms is very interesting to develop your coordination. Before you begin working on this new interpretation, it is assumed that you have had at least some basic exposure to Afro-Cuban 6/8 (I recommend Afro-Cuban Rhythms for Drum Set by Frank Malabe & Bob Weiner and Afro-Caribbean & Brazilian Rhythms for the Drums). Playing the Afro-Cuban 6/8 pattern with the right hand (on the cowbell or on the ride bell), the bass drum will play the dotted 8th-note along with the left foot hi-hat on all the 8th-notes, the counter-rhythm will be played with the left hand on the cross stick or on the snare. Don’t forget to use the metronome setting the click on the dotted 8th-note (80 to 126 bpm). Now go in the middle of the book (pg. 37 exercise 1), here the keyword is INTERPRETATION. The subdivisions that you play on the left hand are the 8th-note triplets played around the 6/8 clave and bass drum plays the quarter note; at the beginning, I advise to play only the right and the left hand and after add the pedals. Another variation is to play the short notes on snare/cross stick and long notes on tom/floor tom, is not simple but it’s worth. Don’t forget to apply the exercises in a musical context and improvise on the stuff that you studied, close the book and move the left hand on snare, cross stick, and toms. Try to count loud the 8th-notes and the dotted 8th-notes. Here’s the PDF of the exercise, good work.